WASHINGTON – (RealEstateRama) — The Federal Housing Administration’s (FHA) 2018 audit report on the Mutual Mortgage Insurance Fund (MMIF) is another step on the road to full recovery from the housing crisis. However, the report also noted continued losses in the Home Equity Conversion Mortgage (HECM) program, the leading driver of FHA losses. “Too many lenders avoid making FHA loans because of the disproportionate risk resulting from application of the False Claims Act, a civil-war era defense contracting law never intended for use in the financial markets,” Dworkin said, adding that “FHA’s technology infrastructure remains dangerously archaic, depending on systems written in programing language that few people alive today are capable of writing. Now it the time to fix FHA’s safety and soundness infrastructure to ensure the program remains strong and independent.” NHC also supports major reform of the HECM reverse mortgage program, which again had a significant negative ratio, and continues to weaken the overall health of the Fund. Under the leadership of FHA Commissioner Brian Montgomery, the FHA continues to responsibly serve qualified borrowers and is the leading supplier of mortgage credit to first-time and minority homebuyers. 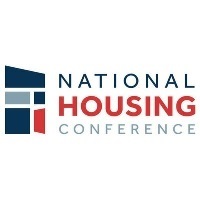 However, significant reform remains necessary for this essential component of the housing economy – one fifth of the nation’s gross domestic product – remain strong for the future.